This large, geographically and culturally diverse country has something to offer every traveler. 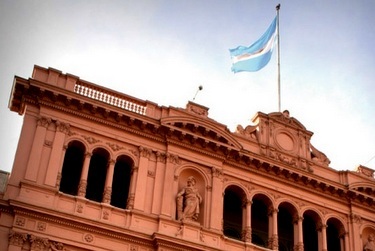 Art and expression abound in the capital city of Buenos Aires. 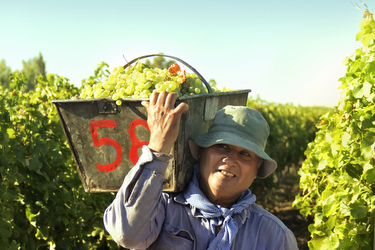 A world-class wine industry flourishes at the foot of the Andes Mountains in central Argentina. Natural beauty resides in breathtaking Iguazu Falls, in Patagonia’s cobalt lakes, and in the unearthly sandstone formations and mountain deserts of the Calchaqui Valley. Beautiful Buenos Aires is a city of wide boulevards and architectural grandeur that’s been strongly influenced by the European culture of many of its people. Catch some of the locals, called porteños (people of the port) — do the tango in the neighborhoods of San Telmo, Recoleto or Palermo—or better yet, take a lesson and join in the fun. Take a tour or enjoy a concert in the stunning Teatro Colon—one of the finest opera houses in the world. The border between Argentina and Brazil is one of the natural wonders of the world. 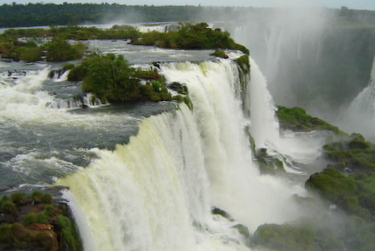 Iguazu Falls’ 275 individual drops cascade down through subtropical forests and can be visited from both sides. A number of cat walks on the Argentinian side allow visitors to get an up-close view of the falls—with an incredible top-down view of the gushing Devil’s Throat. 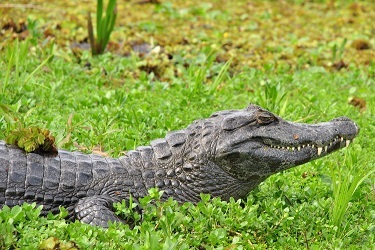 For those wanting a longer stay, the nearby Ibera wetlands are a paradise for viewing flora and fauna. 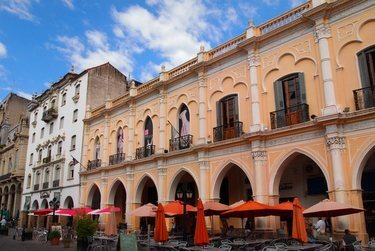 Founded in 1582, the colonial city of Salta lies in a peak-ringed basin and is the gateway for exploring Northwestern Argentina. Enjoy a meal at one of the city’s plaza-side cafes and visit the excellent Museum of High Altitude Archeology. Take the gondola to Cerro San Bernardo for a panoramic view of the city and beyond, or take the ‘train to the clouds’—a day trip to the high Andean plateau. Stunning, open and rugged, visiting the Calchaquí Valleys are like traveling through a painting. The purple-red mountains, yellow-brown deserts and clear blue skies are home to a variety of Argentine birds and special micro climates that produce rich local wines. 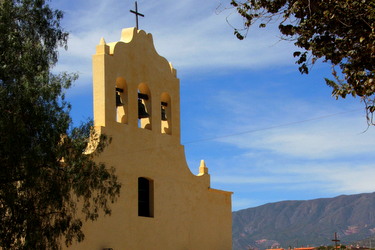 Visit the charming whitewashed town of Cachi—where you can browse artisanal shops and savor a glass of vino blanco or tinto. This dry grape-growing country produces some of the best wines in Argentina, and is famous for its Torrontés, a grape producing aromatic, dry, white wine. Visit and sample the produce of a number of local wineries. 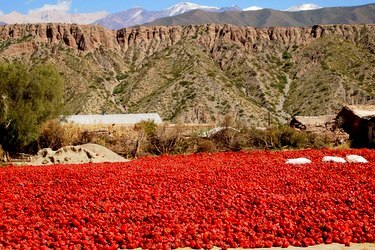 Complement your wine sampling with a trip to Cabras de Cafayate, a goat cheese farm offering tastings and tours. 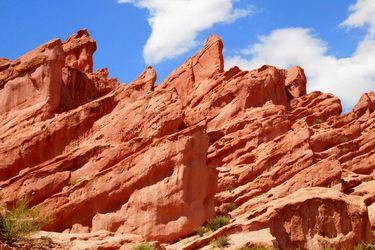 On the road to Cafayate from Salta, pass through Quebrada de Cafayate, a landscape of deeply colored sandstone and unearthly rock formations. 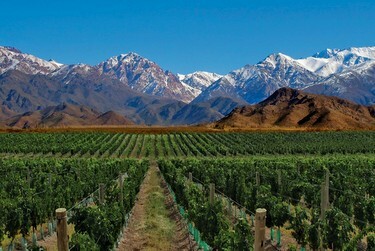 Mendoza is one of the nine great wine areas in the world that is renown for the quantity and quality of wines it produces. Although the natural landscape is high and dry, snow melt from the mountains feeds the vineyards. The city of Mendoza is similarly irrigated and has fountains in every plaza. Pedestrian bridges cross water channels lining most streets, creating a wonderful ambiance. Stay in Mendoza or on one of the many wine estates from where you can visit the wineries by bicycle. Immense, open and desolate, Argentina’s southern-most region is ruled by nature, and you are its guest. In the Lake District you’ll discover villages at the base of snow-covered peaks and at the edge of cobalt-colored lakes. 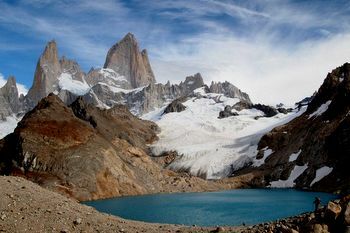 In southern Patagonia near the town of Calafate there’s world-class hiking and camping in the Fitz Roy Range, and be sure to visit the Parque Nacional de Los Glaciares to see the advancing and continuously calving Perito Moreno Glacier. This ‘land of fire’ at the southernmost tip of South America is a wonderland for true adventure-seekers. 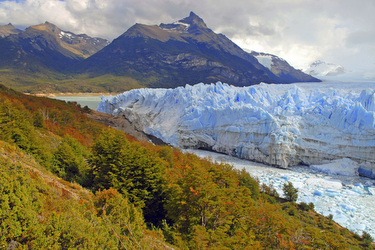 In the warmer summer months hike through Tierra del Fuego National Park or to the Glacier Marcial. 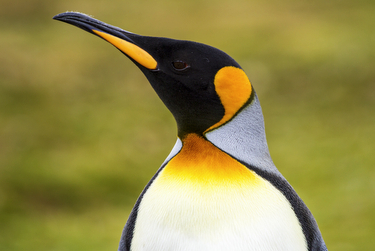 Water-lovers can kayak or cruise around the Beagle Channel and explore the surrounding islands. In winter, excellent skiing and snowboarding opportunities abound. 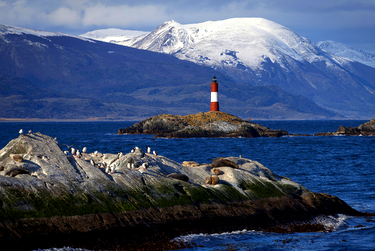 Argentina’s southern-most city, Ushuaia lies within this isolated region and serves as the gateway to Antarctica. Since the seasons are the reverse of those in North America, the spring (Sept – Nov) and fall (Mar - May) are wonderful times to visit most places including Buenos Aires. 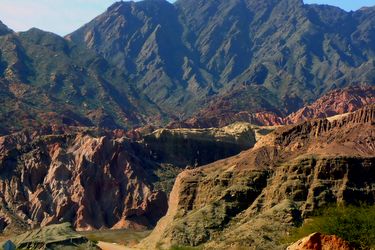 Fall is also a good time to visit Mendoza and Cafayete for the wine harvest. 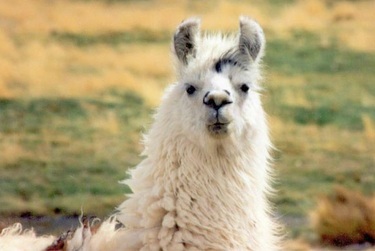 Southern Argentina is best visited in the summer months (Dec – Feb).